I’m trying to conserve energy for my upcoming trip, but beautiful fall weather and an extra hour of sleep were all I needed to get me out of the house yesterday morning. 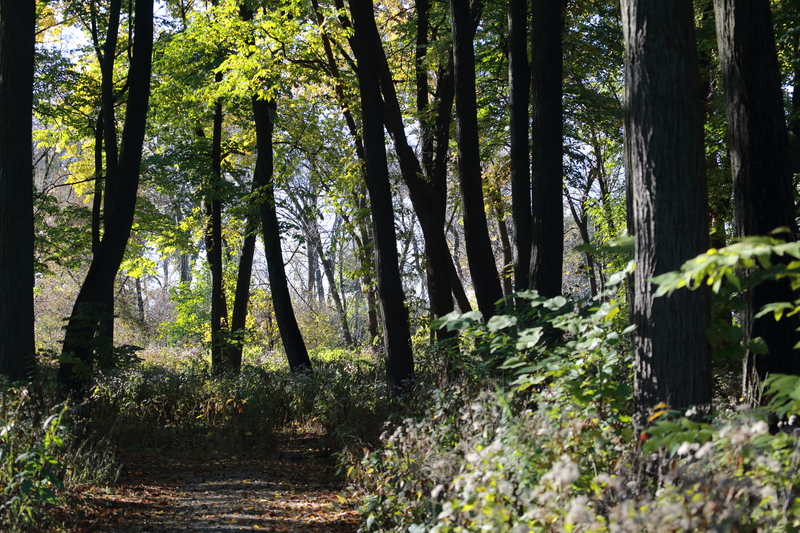 I went to the Chicago Portage and then McGinnis Slough, to witness the change of seasons. Canada Geese gathered in groups of six to twenty-four birds, and I counted 126 total. 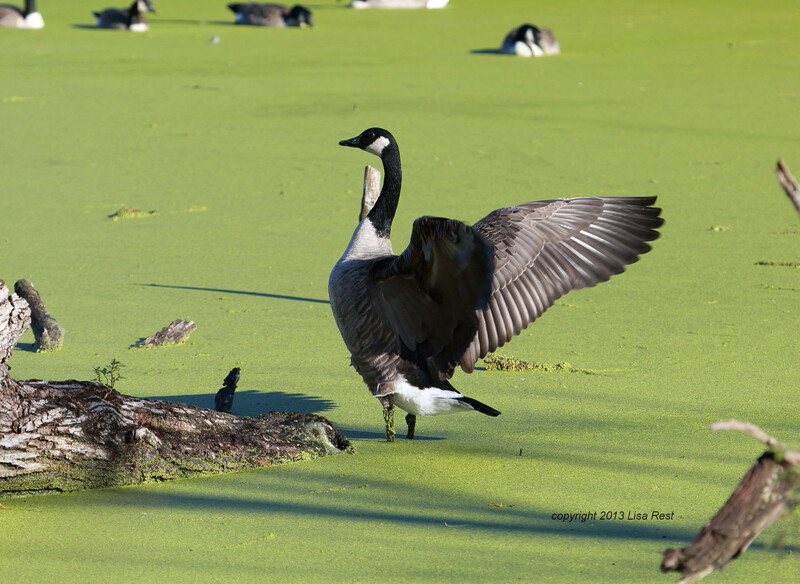 Not a lot by Canada Geese gathering standards perhaps but plenty for a small preserve. 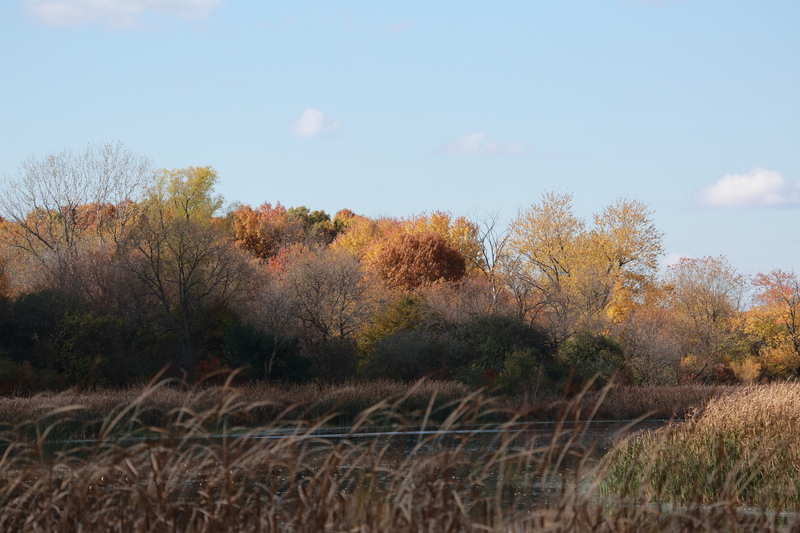 I looked for Cackling Geese but there were none mixed in. 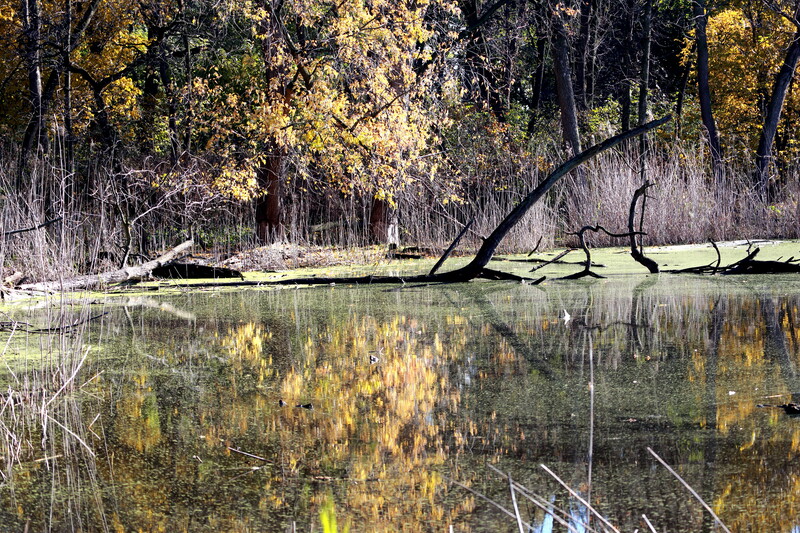 We’ve had some substantial amounts of rain the past week, along with cooler temperatures, contributing to the arrival of leaf color almost everywhere but the Portage. It has its own palette. 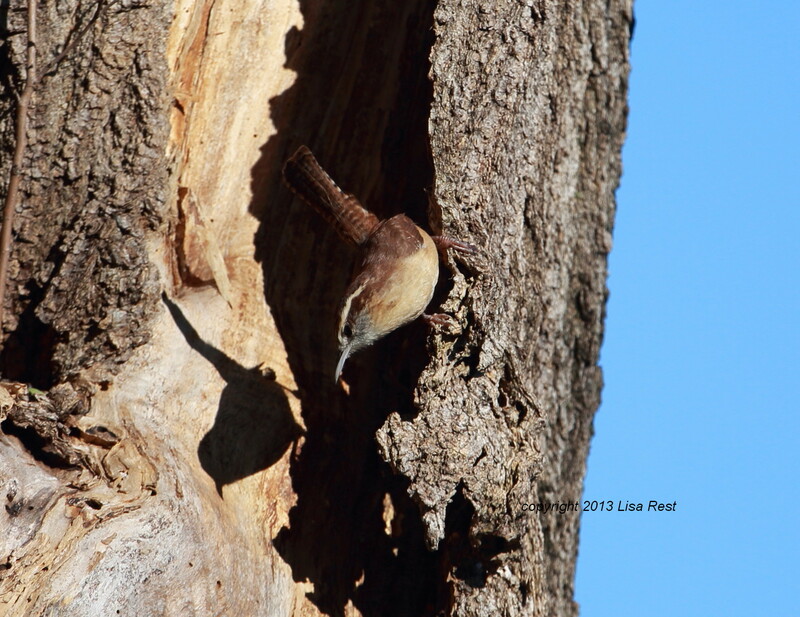 I was lucky early on to see this Carolina Wren who also appears at the top of the post. He was busy with a worm, which explains to me why he’s still around. 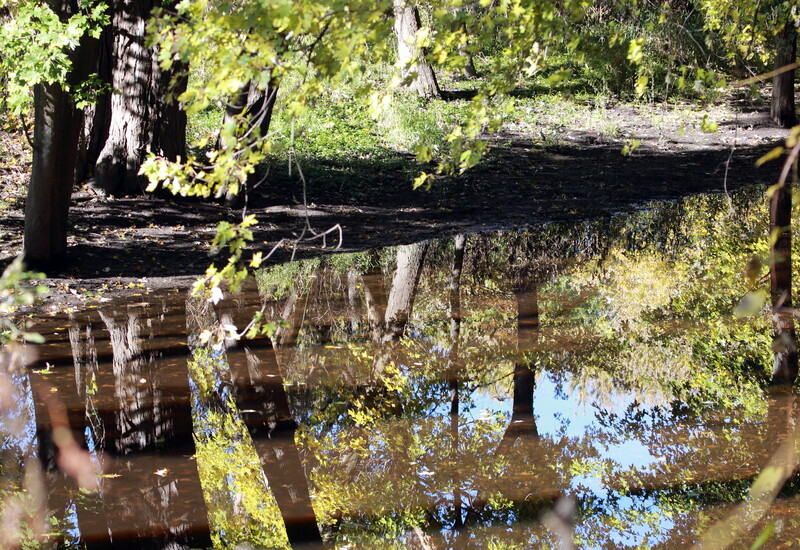 The light was creating interesting reflections wherever there was clearer water. 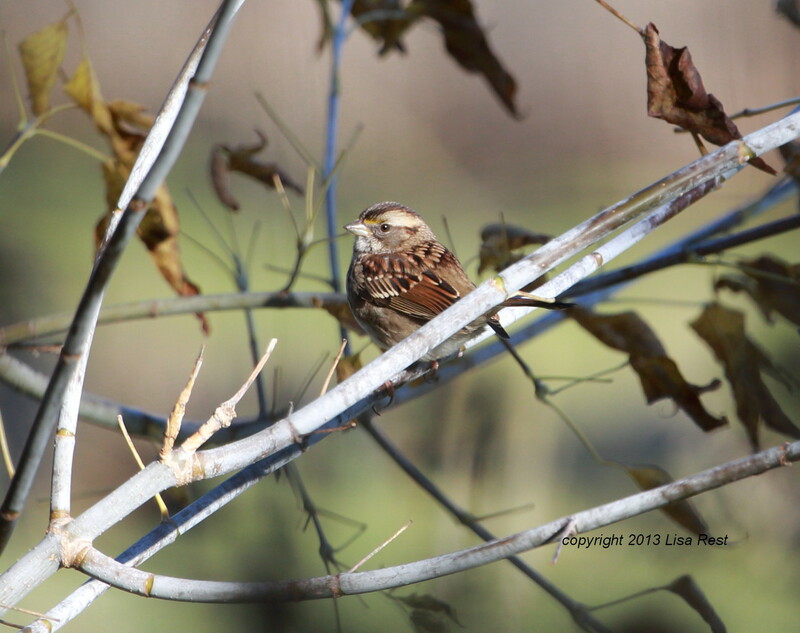 After the geese, the most numerous species represented yesterday was White-Throated Sparrow. 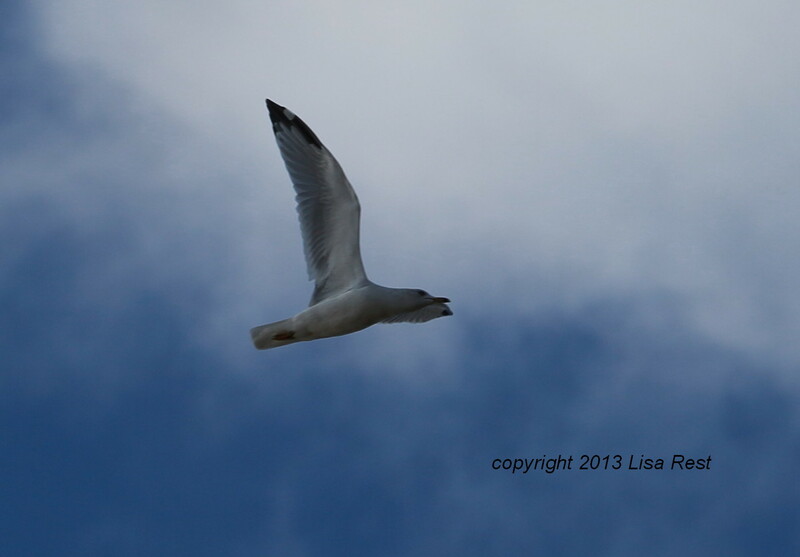 I am used to seeing a lot of them on the lakefront but have never before seen 50 or more here. I caught one sitting. 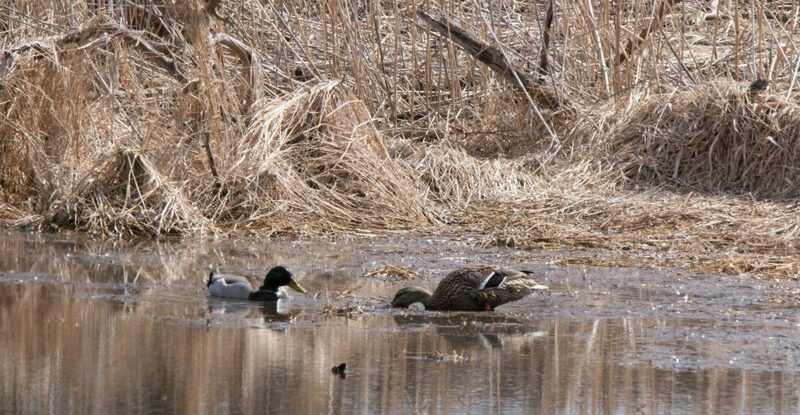 They were moving in flocks feeding in the ample brush and dried weeds on either side of the water. Song Sparrows, Swamp Sparrows and Fox Sparrows were interspersed with them but I could not single them out for a photo. Convinced that I’d seen and heard everybody available at the Portage, I moved on to McGinnis, where the colors were a bit more varied. 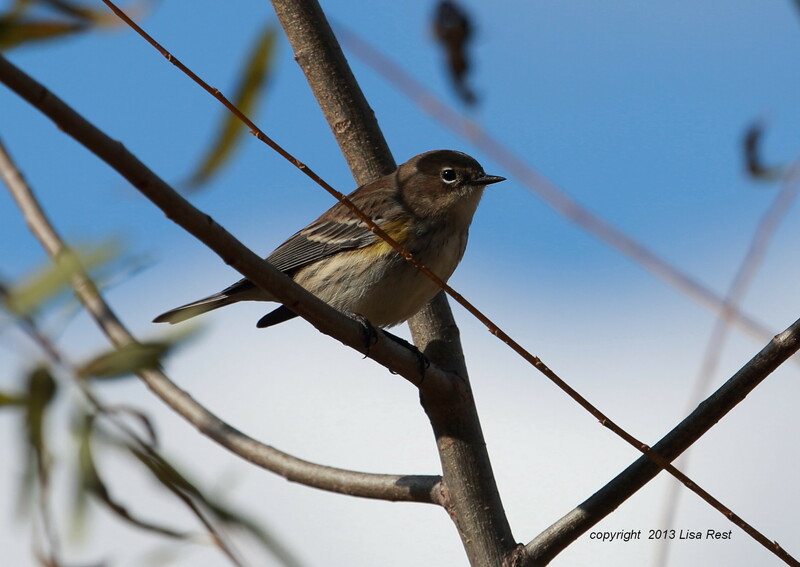 Here the species of the day, at least on land, was Yellow-Rumped Warbler. I had brought the scope but forgot the tripod I was supposed to grab on a second trip back to the house before I left, so I was not able to view any distant birds in the water. Not that I could have taken photos anyway. The two Trumpeter Swans who hang out were in the middle of the largest portion of the water instead of hugging the far shore, but they still looked like white blobs in a picture. 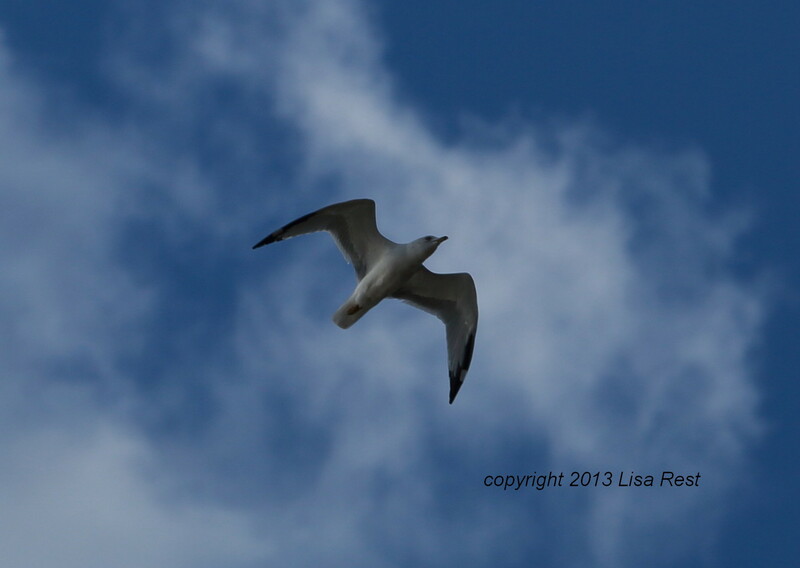 I took advantage of a Ring-Billed Gull who flew over instead. 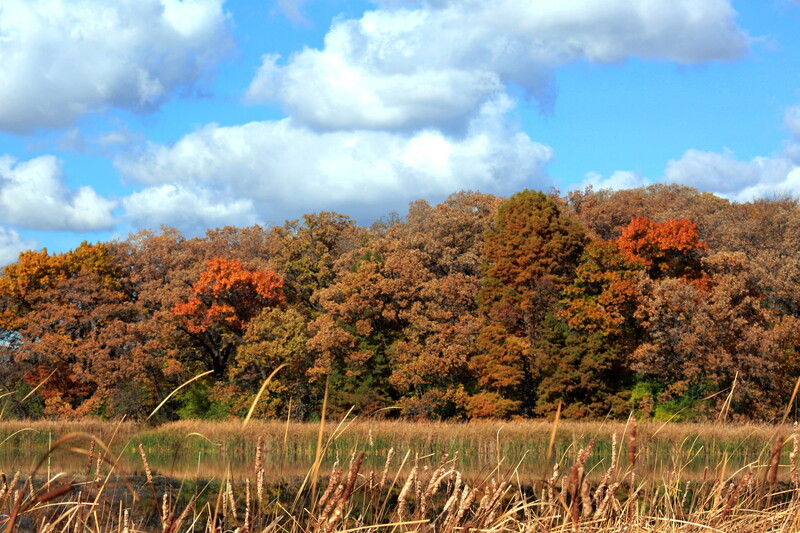 A little autumn color goes a long way as we say goodbye to warmer weather. 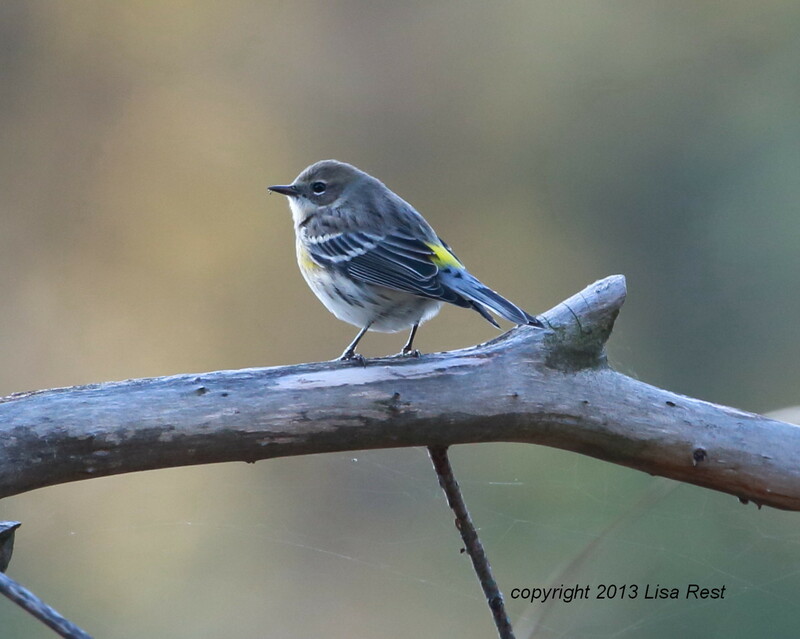 One more Yellow-Rumped Warbler for good measure. 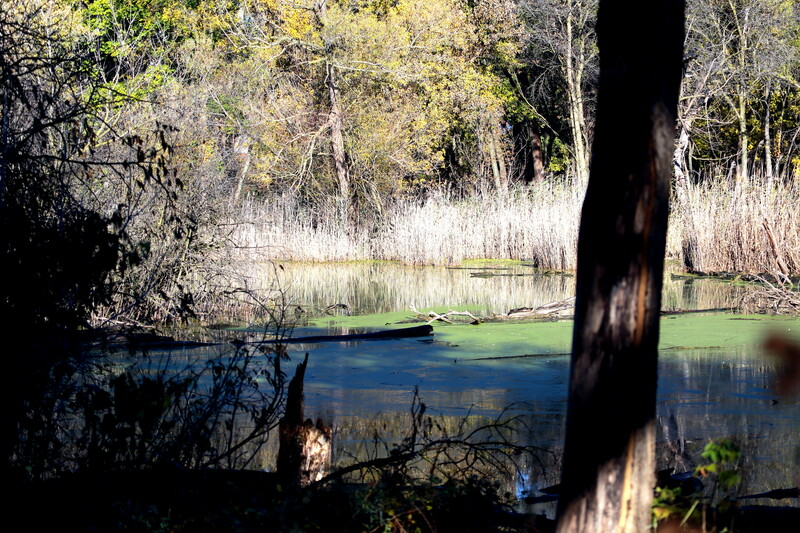 This entry was posted in birds, Sparrows, Warblers and tagged Canada Goose, Carolina Wren, Chicago Portage, McGinnis Slough, Ring-Billed Gull, White-Throated Sparrow, Yellow-Rumped Warbler by Lisa Rest. Bookmark the permalink. Thank you for taking the time out to give us this treat before you go. Oh thank you! I wish I could devote more time to the blog. I take pictures almost every day but I am at a loss to go through them all half the time. It will only get worse on my trip of course but then I’ll have a better excuse at least for a little while. I can sympathise with that. I spend far too much time going through my photos and reading other peoples interesting posts but at least it has the merit of stopping me watching TV and getting cross with it. I hope you have an interesting trip. 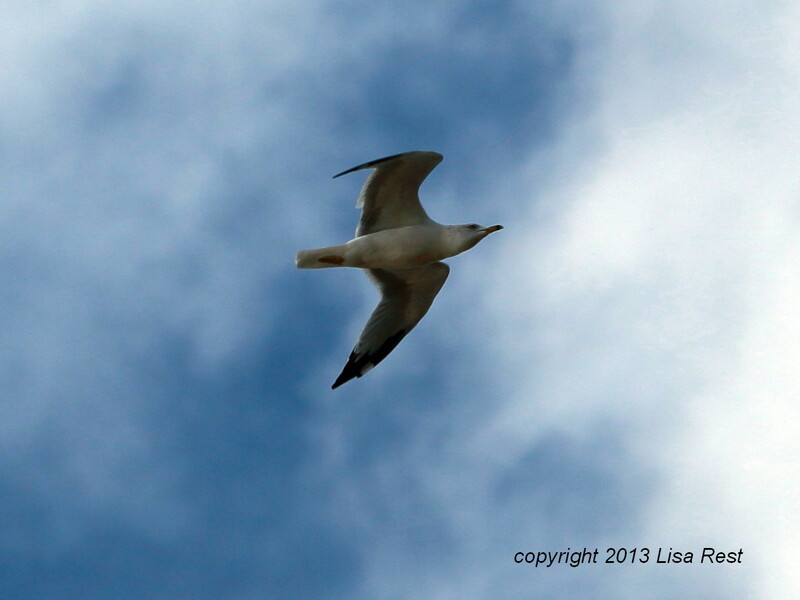 Great shots here, Lisa. 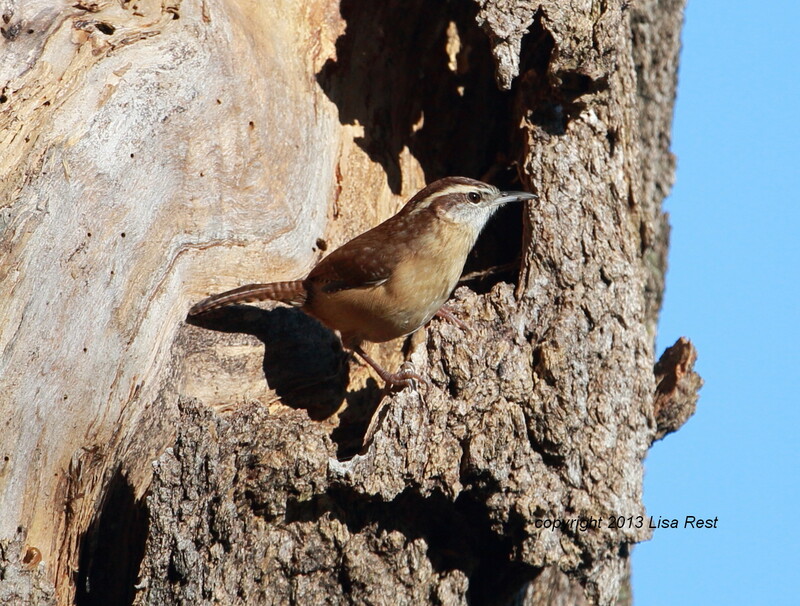 That first shot of the Carolina Wren is exceptional. Again great photos and an interesting commentary. Thanks and have a wonderful trip! Thanks so much, Frank. I have 10-1/2 days left but I probably won’t be posting a lot… real busy at work too of course (never fails).